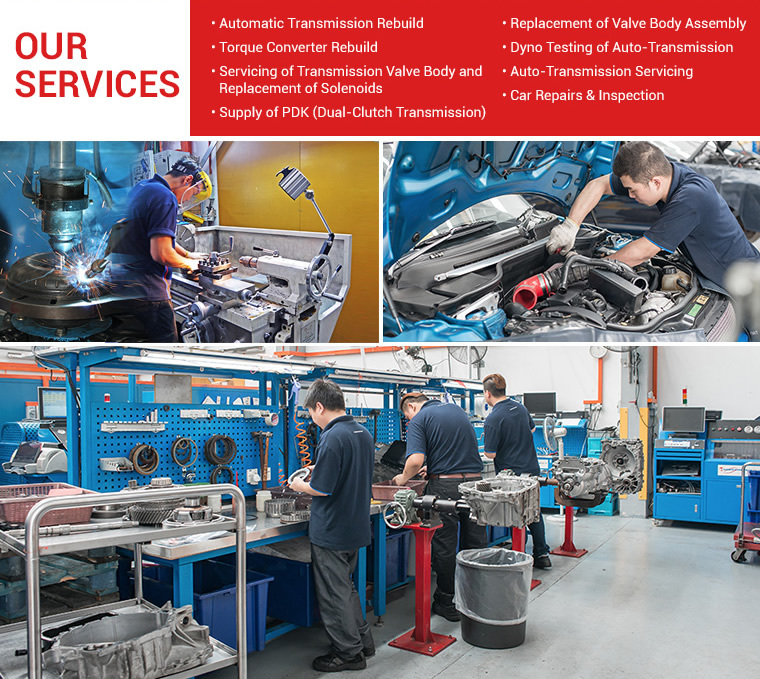 Jackson Powertrain specialises in automatic transmission servicing, maintenance and repairs, offering a new lease of life for your car's powertrain. 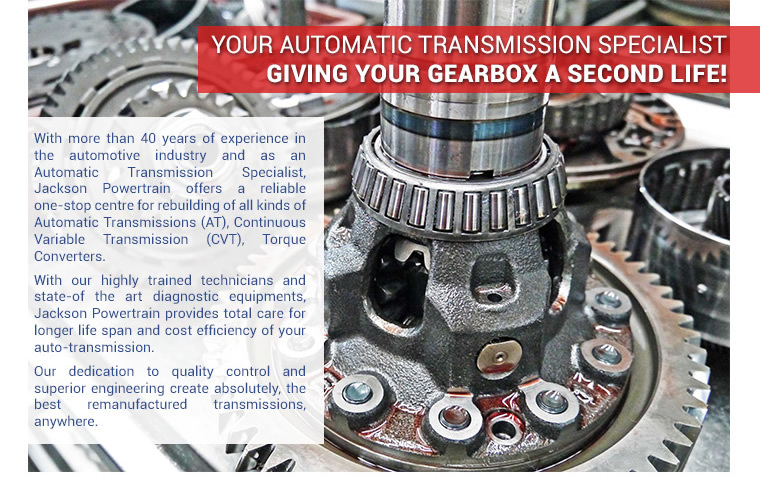 As an Automatic Transmission Specialist, Jackson Powertrain offers a reliable one-stop centre for rebuilding for all kinds of Automatic transmissions (AT) , Continuous Variable transmission (CVT), torque converters. 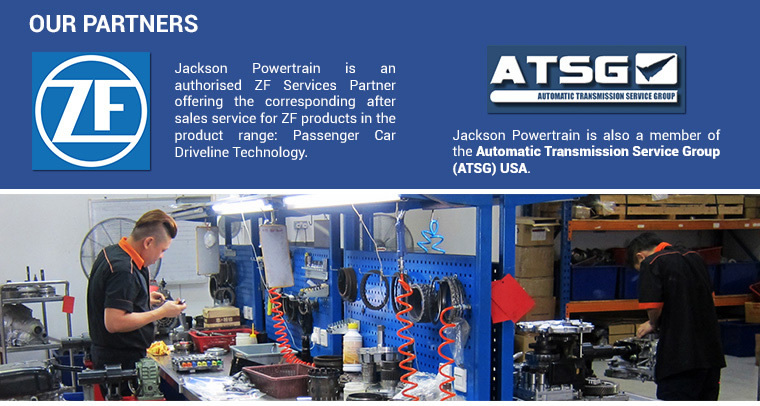 Jackson Powertrain, being one of the appointed service partner of ZF, a world renowned transmission and automotive parts maker's in the region of South East Asia that has allowed them to obtain the genuine parts and Automatic Transmission Fluids (ATF)). And, with their highly trained technicians and state-of art diagnostic equipments they provide total care for longer life span and cost efficiency. Jackson Powertrain specialises in automatic transmission servicing, maintenance and repairs, offering a new lease of life for your car's powertrain. 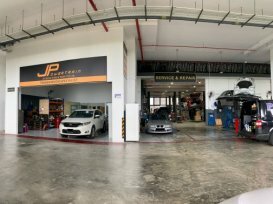 No regret for approaching Jackson Powertrain team for resolving my transmission issue. Gear shifting is very responsive and smoother now.